Since camp ended last month at Camp Timberlake, we have been working hard to ensure that next summer is even better than this one (if that’s even possible)! But besides having a ton of fun at our Christian overnight camp near Georgia, boys will also learn a lot about the world and about themselves. Overnight camp teaches boys lessons that will remain with them for the rest of their life. Keep on reading to find out what your son will learn when he attends Camp Timberlake. Independence: For many children, attending overnight camp is their first experience away from their family and home for an extended period of time. Over the course of the summer, boys will learn to be independent and how to live on their own. Rather than depending on their parents, boys will instead have our amazing Christian overnight camp staff guiding and helping them with any problems that they may have. Social Skills: Because of the popularity of social media and cell phones, children aren’t developing social skills that are needed. Since Camp Timberlake is a cellphone free zone, it is the opportunity for campers to learn and improve their social skills. Whether it is working as a team or communicating with a fellow camper, there are plenty of opportunities to practice socialization, and make tons of friends, at Christian overnight camp. No Judgment: Many children are afraid to try new things out of fear of judgment or failing in front of their peers. But when children participate in our Christian overnight camp activities, they can try new things without the fear of being judged or made fun of. 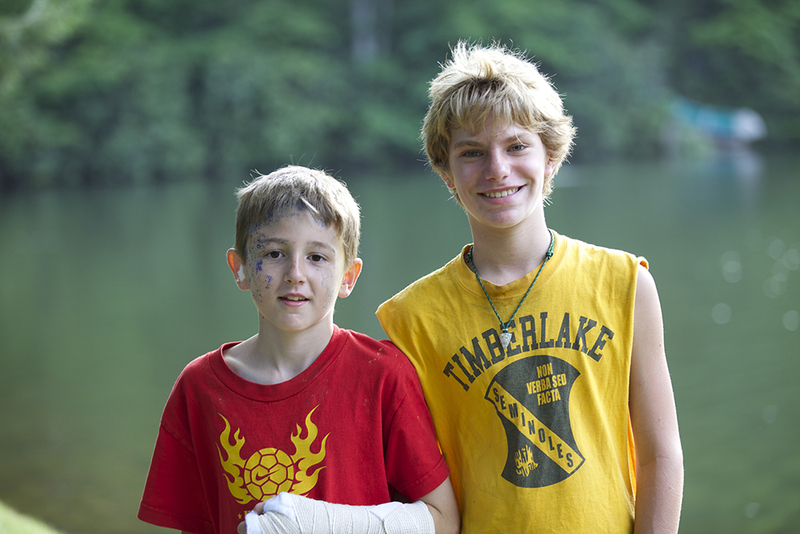 At Camp Timberlake, everyone is free to try new things and be themselves in a safe and supportive community. If you’re looking for the best Christian overnight camp near Georgia for your son next summer, then call Camp Timberlake at (828)-669-8766 for more information or to schedule a tour of our campgrounds today!